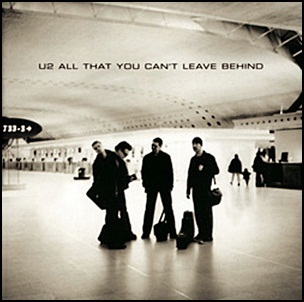 On October 30, 2000, “Island” label released “All That You Can’t Leave Behind”, the tenth U2 studio album. It was recorded 1998 – 2000, at the” HQ”,” Windmill Lane Studios”,”Westland Studios” and“Totally Wired” in Dublin, and was produced by Daniel Lanois and Brian Eno. The album and its songs won seven “Grammy Awards”. In 2012, “Rolling Stone” magazine ranked “All That You Can’t Leave Behind” at number 280 at its list of “The 500 Greatest Albums of All Time”. Lyrics by Bono except where noted, music by Bono, The Edge, Adam Clayton and Larry Mullen Jr..